The Slik SBH-200 DQ Ball Head with Quick Release is made from finely machined and carefully anodized hardened aluminum parts that are designed to give many years of trouble-free smooth operation. 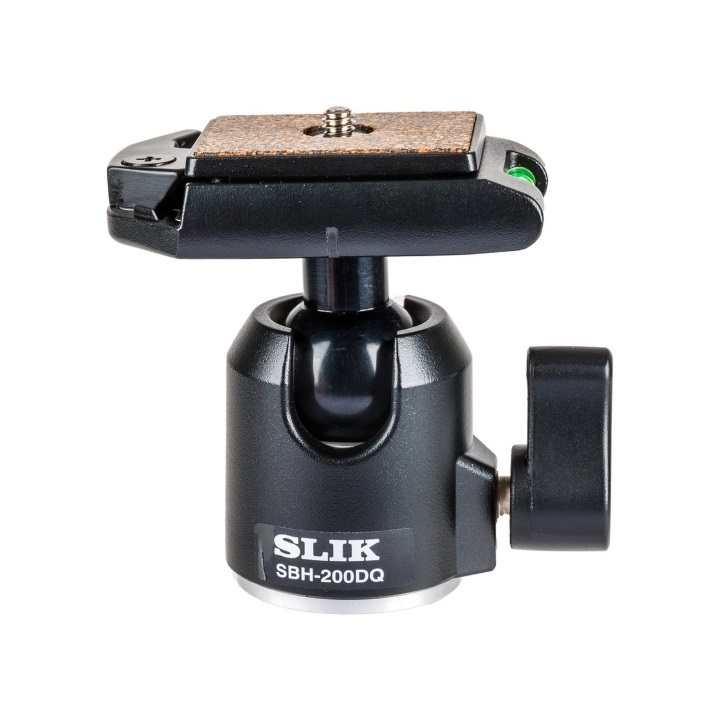 SBH series ball heads feature an easy to use, single knob operation to lock or release the ball connected to the camera plate. The knob is oversized and has a well-textured surface for a sure grip in any condition. This version also includes the DQ quick release system. 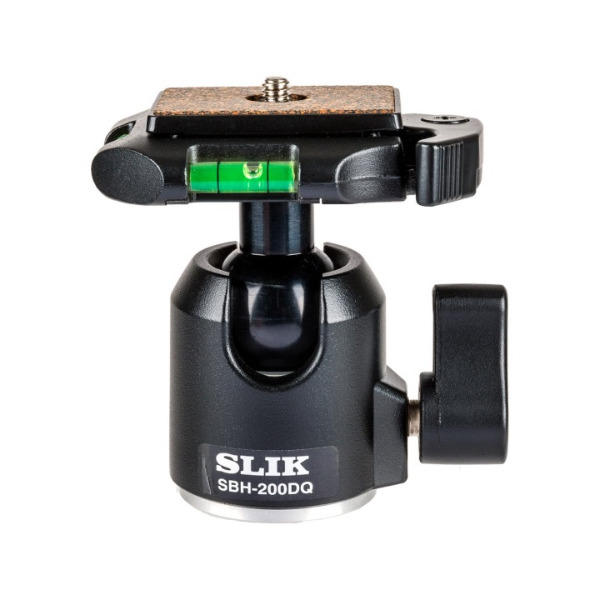 A feature of the Slik DQ system is the low-profile camera plate that will not interfere when mounted on vertical grips. The plate also has an extra wide camera lock wheel to make mounting and removing the plate a breeze. Box Dimensions (LxWxH) 7.1 x 4.5 x 3.7"